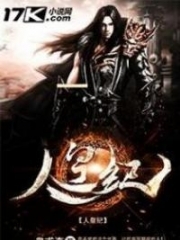 You’re reading novel Chaotic Sword God Chapter 683 - Chasing to Kill online at LightNovelFree.com. Please use the follow button to get notification about the latest chapter next time when you visit LightNovelFree.com. Use F11 button to read novel in full-screen(PC only). Drop by anytime you want to read free – fast – latest novel. It’s great if you could leave a comment, share your opinion about the new chapters, new novel with others on the internet. We’ll do our best to bring you the finest, latest novel everyday. Enjoy! 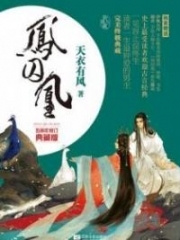 The Yan Family lord knew exactly how powerful Jian Chen was, as well as the fact that his talent was currently unprecedented on the Tian Yuan Continent and his future prospects would be inconceivable. As a result, as soon as the chance appeared, he would immediately attempt to ingratiate himself with Jian Chen, unwilling to miss any chances of developing a good relations.h.i.+p with Jian Chen. “The Yan Family lord is too polite. In the future, if Jian Chen has any areas that would require help, then I would have to trouble the Yan Family.” Jian Chen looked at the Yan Family lord with a smile and his hands clasped. He did not turn down the Yan Family lord’s attempt to curry favor, as after all, the Yan Family was a hermit family that possessed a powerful Saint Ruler and could not be so easily ignored. If he maintained a relations.h.i.+p with those types of families, no matter if it was for him, the Changyang Clan or the Flame Mercenaries, it was definitely a good thing. “Hahaha, it’s not troublesome, it’s not troublesome at all. My Yan Family is extremely willing to help brother Jian Chen handle matters within our ability.” The Yan Family laughed without restraint, seeming to be extremely happy. “Brother Jian Chen, I will not be delaying you any further. The Yan Family just happens to have some small matters that require me to resolve, so I will be leaving first. In the future, if brother Jian Chen has the time, brother Jian Chen is welcome to come visit my Yan Family as a guest.” The Yan Family lord did not stay for long, and left as soon as he said his farewells to Jian Chen. The two Saint Rulers of the Hongfu Clan watched the Yan Family lord leave with gloomy expressions. When the Yan Family lord severed his relations.h.i.+p with them at this crucial moment, it caused the two of them to be extremely mad, but they felt completely helpless. “Jin Tian, Jin Feng, our two families have already been locked in constant strife for several thousand years. It should completely end today.” Huang Tianba looked at the two Saint Rulers of the Hongfu Clan with a cold smile, while in his hand, a golden longbow had already appeared. It was a Ruler Armament, the Solunar Bow. Hearing what was said, the corner of Jian Chen’s lips curled into a scornful cold smile. However, he did not say anything. “Hahahaha, Jin Tian, Jian Feng, what you’ve done just now really has broadened my, horizons. Who would have thought you would actually have thoughts like this. However, I’d persuade you to give up on this. How can brother Jian Chen be roped into your side with just these cheap bargains?” Huang Tianba laughed. He looked at the two Saint Rulers, his gaze full of ridicule. “Senior Huang has put it well. The two of you should give up on this.” Jian Chen conformed to what Huang Tianba had said. The expressions of the two Saint Rulers changed,, “What if we gift two Ruler Armaments to you? We only need you, Jian Chen, and that brother to stand down and not interfere with what’s happening between our Hongfu Clan and the Huang Family.” This time, the two Saint Rulers did not hold back at all. They understood very well that if Jian Chen and Nubis worked together with Huang Tianba, they had no chance of victory even with the Ruler Armaments. “Jin Tian, Jin Feng, quit rambling. When we kill the two of you, won’t the two Ruler Armaments you possess end up in our hands anyway? Take this.” Huang Tianba said with a cold smile, before directly drawing the longbow. A golden energy arrow quickly formed, before turning into a ray of golden light, shooting towards one of them like a bolt of lightning. The two Saint Rulers already knew that the arrows shot by the Solunar Bow could not be dodged. Their reactions were not slow, drawing their Ruler Armaments at the same time. The two Ruler Armaments radiated with a dazzling light, and the aftershock from the great energy that flowed out from the Ruler Armaments caused the surrounding s.p.a.ce to greatly distort. Closely afterwards, the two swung their Ruler Armaments simultaneously, shooting out two great streams of energy to block the incoming golden energy arrow. The golden energy arrow and the energy from the two Ruler Armaments clashed mid-air, giving off a great, deafening bang. The aftereffects from gathering the great amounts of energy wreaked havoc everywhere. It were as if a violent gust of wind suddenly began to blow in the air and between the two groups, the s.p.a.ce had been shattered, creating a fist-sized black hole. However, it returned to as it was before with the blink of an eye. With every clas.h.i.+ng of the powerful Saint Rulers, it contained the power capable of moving and destroying the earth. Every time they clashed, the powerful aftershocks created from the great energy would affect the manor below. The ground which the manor stood on immediately began to crack and fissure, with several buildings collapsing one after another. With the blink of an eye, the originally-untouched manor had become a mess. “Your distinguished self, the great Nubis, their power is around the same, so keep any one of them busy. Brother Jian Chen, we should work together to kill one.” Huang Tianba’s tone seemed to carry some excitement. The thousand-year old enmity that always weighed on the Huang Family’s chest was about to be put to an end, so it moved him very much inside. “Leave that person on the right for me to handle.” Nubis clenched his fist, and in the next moment, there was only a flash of golden light. He disappeared from where he originally was, directly rus.h.i.+ng at Jin Feng who wielded a long spear. “Senior Huang, use the Ruler Armament to keep him busy. I’ll go over and handle him.” Jian Chen said to Huang Tianba, before rus.h.i.+ng towards Jin Tian who wielded a sword. Before, when he still had not become a Saint Ruler, he had the ability to match up with a Saint Ruler of the Fourth Heavenly Layer. Now that he had already become a Saint Ruler, Jian Chen urgently wanted to try out his current strength. “Brother Jian Chen, be careful of the Ruler Armament in his hands. You must not take it head-on.” Huang Tianba was unable to stop him even if he wanted to, so he could only warn him. The two Saint Rulers of the Hongfu Clan became extremely solemn. Glancing at the manor that had already fallen into an utter mess below, the two immediately seem to had a tacit understanding. Turning into a flash, the two of them borrowed the Spatial Force to quickly flee far away. “Want to run? Not that easy!” Nubis sneered, and followed closely, using Spatial Force to chase Jin Feng. Jian Chen did not hesitate, and also used Spatial Force to closely chase after Jin Tian. However, Jin Tian had reached a greater level of comprehension, which meant that his level of understanding for the Spatial Force far exceeded Jian Chen’s. As a result, he pulled ahead by several kilometres just in the blink of an eye. Huang Tianba stood where he was before, slowly drawing the longbow in a calm and composed fas.h.i.+on. He directly shot out an invisible energy arrow. The energy arrow was formed from the World Energy. It was invisible and formless, completely undetectable to the naked eye. The arrow formed from World Energy tightly locked onto Jin Tian’s presence. It seemed to even possess the power to teleport through s.p.a.ce. It chased after Jin Tian with an even greater speed, immediately traversing several dozen kilometers, arriving behind Jin Tian. You're reading novel Chaotic Sword God Chapter 683 - Chasing to Kill online at LightNovelFree.com. You can use the follow function to bookmark your favorite novel ( Only for registered users ). If you find any errors ( broken links, can't load photos, etc.. ), Please let us know so we can fix it as soon as possible. And when you start a conversation or debate about a certain topic with other people, please do not offend them just because you don't like their opinions. You're reading Chaotic Sword God Chapter 683 - Chasing to Kill. This novel has been translated by Updating. 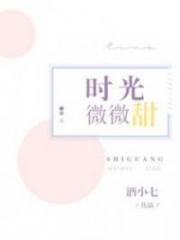 Author: Xin Xing Xiao Yao already has 11255 views. Current Time is Apr-18-2019 19:03:34 PM.